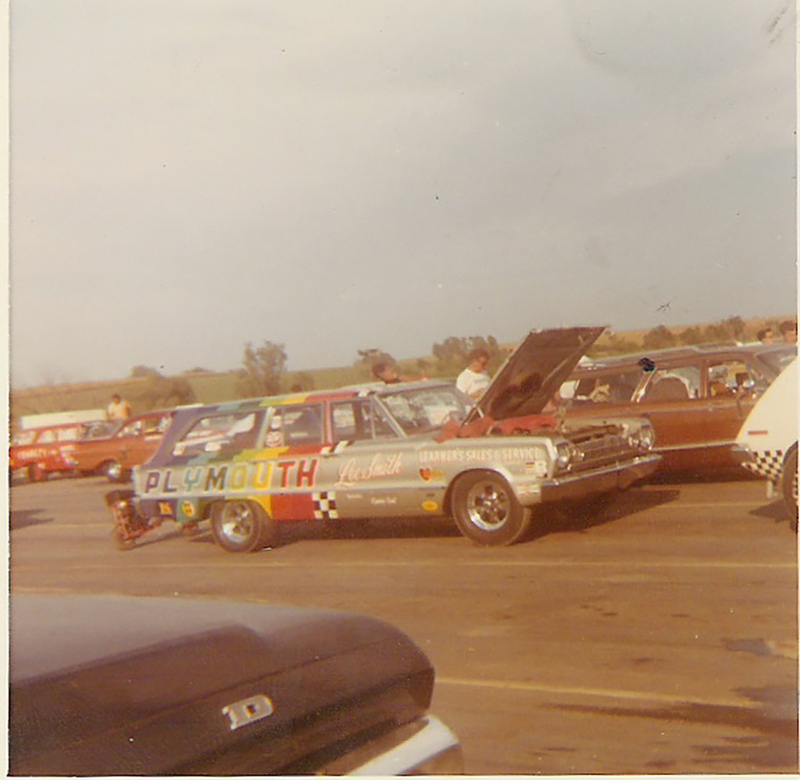 Photos courtesy Bob Plumer collection, Lee Smith collection, Tim Costello/Mopar Collector’s Guide, Fred Engelhart, Ron Thums, Don Moats. 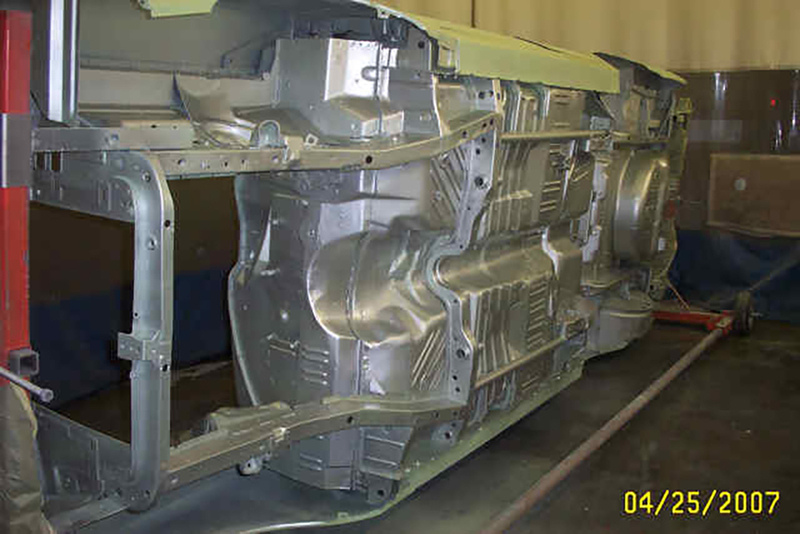 It’s no secret that one of our favorite periods of Cardom is the 10 years between 1965 and 1975: candies, panels, metal flake, and other wild paint, chromed parts, aftermarket wheels, customized cars, factory drag racing, speed equipment, tire technology, pop culture, and the muscle car era were hittin’ on all cylinders in those years… right up to the Oil Embargo that stopped us all in our tracks. 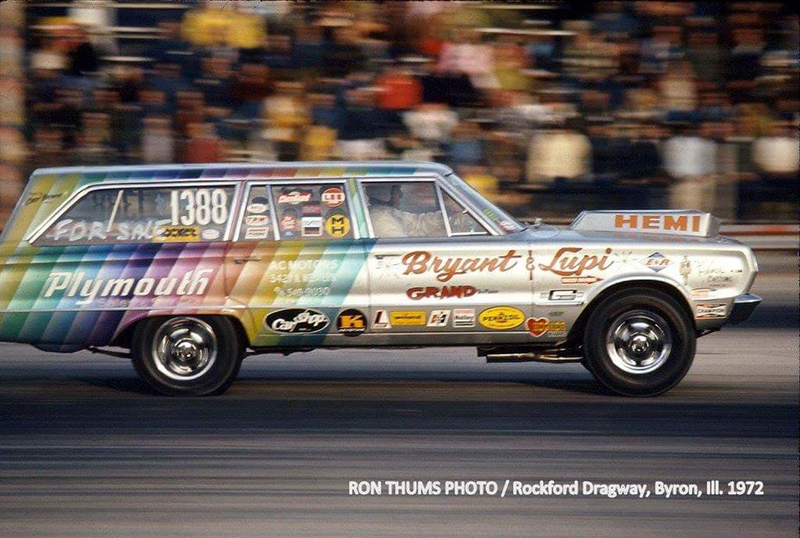 It was a real apex of all that was good in the American love affair with cars, and there were few places that one could experience it all at once in a more memorable way than the drag strip. It was also a magical time when the automakers – through the relationships with their dealer networks and corporate-backed marauders – could make a visceral connection with their customers by putting ridiculously powerful cars on those weekend drag strips and reap the rewards on Monday afternoons. It was all just so glorious, man. And so it was, that Chrysler hooked up with Lee Smith through one of its most successful dealers in Rock Island, Illinois. 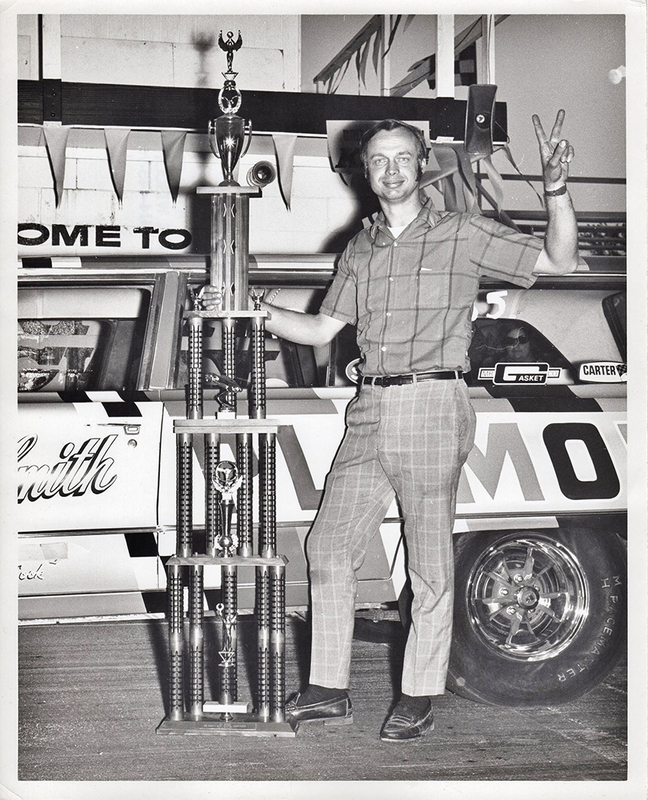 Lee had become known as a double-threat driver and mechanic on the drag strips of the Midwest in the Fifties, and he’d gotten friendly with the suits at Chrysler through Dave Learner and the dealership that bore Learner’s name. 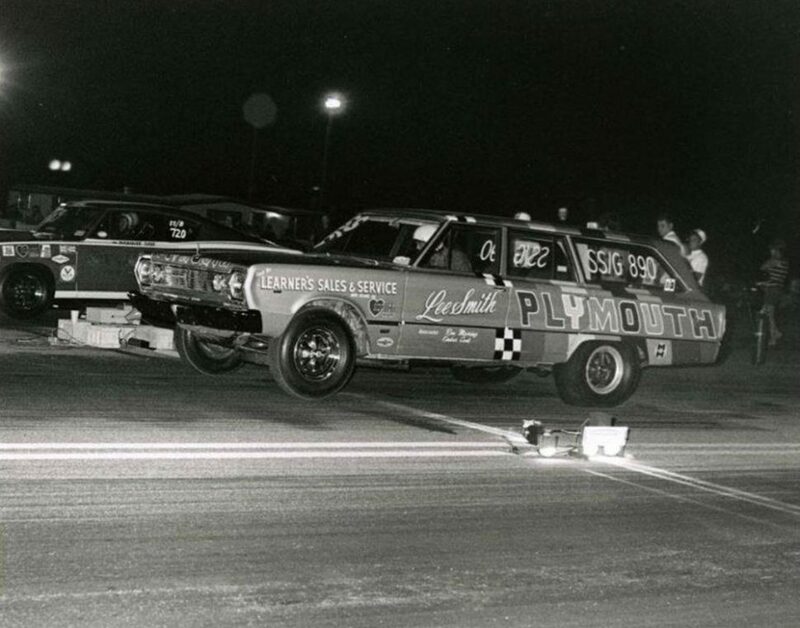 By 1965, Smith was driving one of the few factory-built and sponsored A/FX class Plymouth Belvederes supplied to him through Learner’s and the Haulin’ Hemi II was doing exactly that: haulin’. 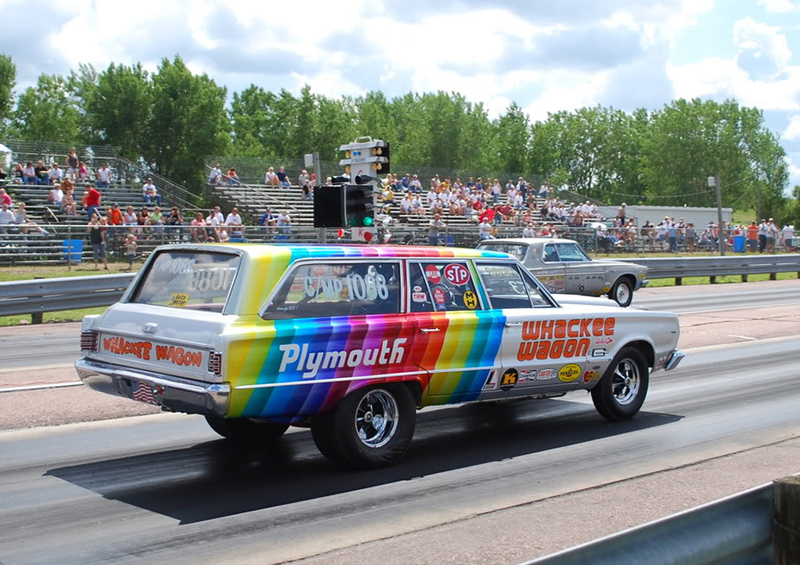 The ingredients in drag racing have always been nearly 50 percent showmanship, and Chrysler – the smallest of the Big 3 – seemed to be more willing than its big brothers to just do some really cool stuff on the track. 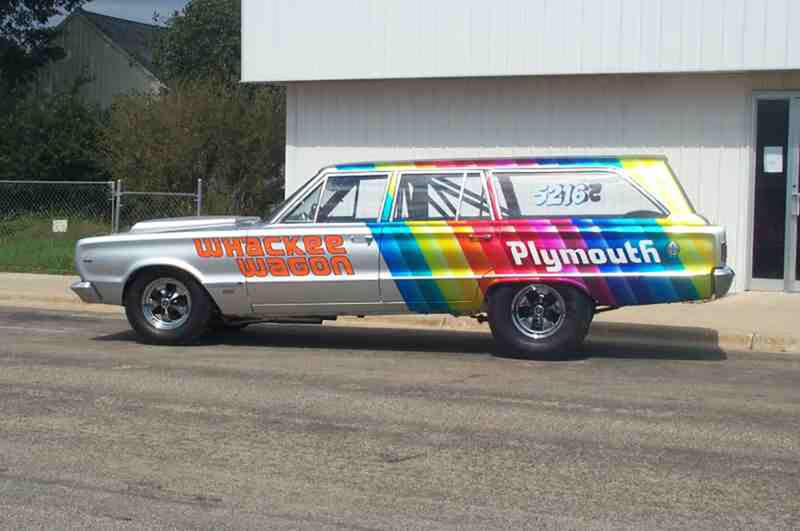 Almost taunting Ford and GM with crazier paint, bigger motors, wilder cars, and wilderer drivers. And to show off its hellacious 426 Hemi V-8 in yet another new way, Chrysler asked its team, “What can we do next?” The idea to stuff a couple new Plymouth Belvedere station wagons with those big Hemis was approved, and the cars were shipped before the brass could 1) hear of the idea and 2) put the kibosh on it. 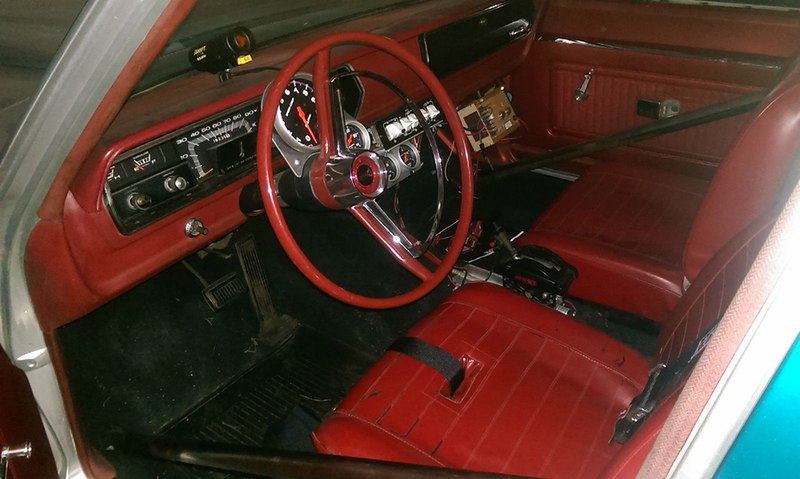 Two wagons – one four-speed manual and one automatic transmission – left the factory. 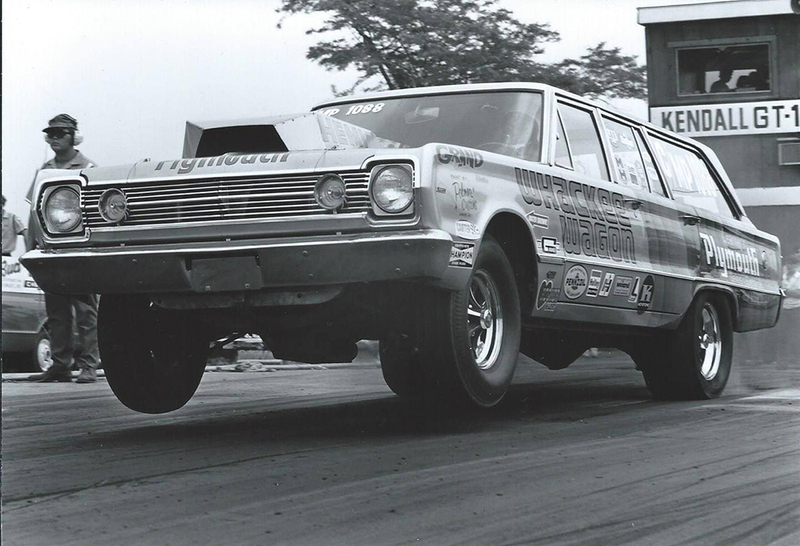 And the four-speed showed up at Learner’s Sales & Service in Rock Island, with the express intention of demonstrating how an absolutely absurd, 2-ton, four-door wagon could spank anything it went up against in the other lane. It didn’t take long for Lee and his guys to realize that, while the idea was cool, the execution of said idea was an elephant of another color. 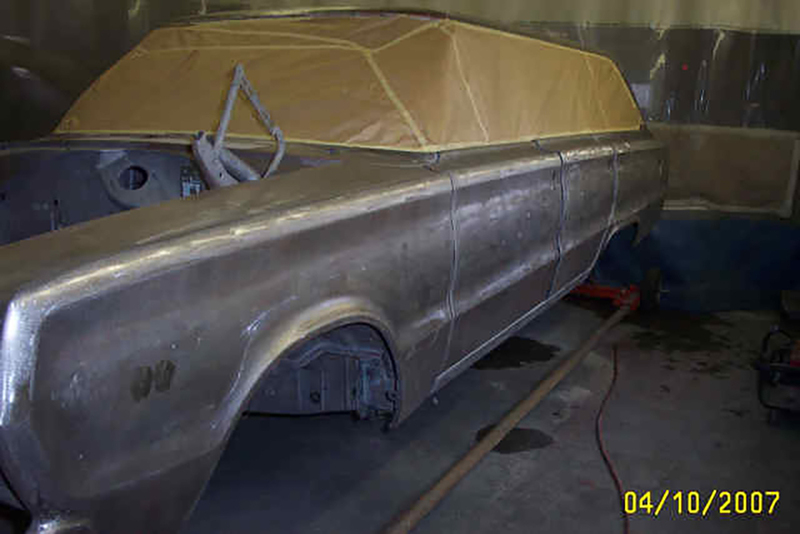 But they got the wagon ready for battle, prepped the mill for Super Stock duty and were racing the longroof for the 1967 season. 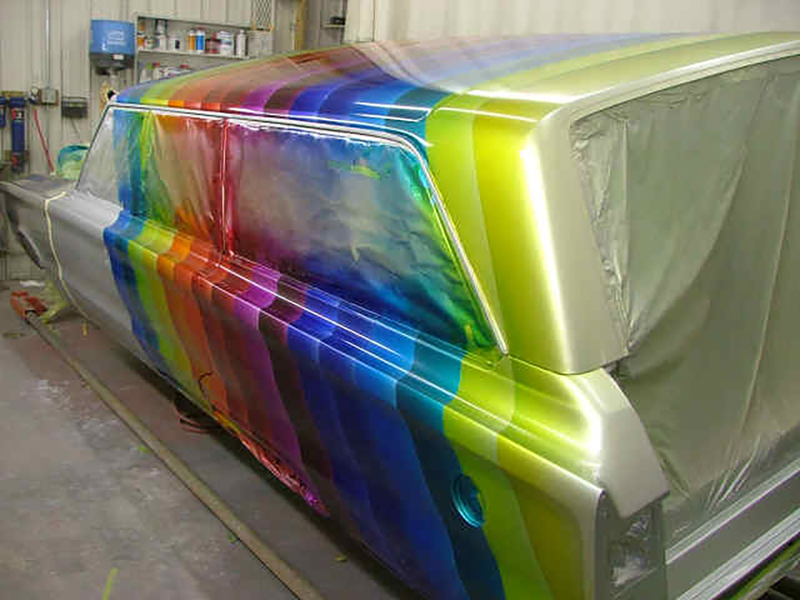 Rampaging across the SS/G class, Smith and Co. made quite the name for, and spectacle of, themselves with their grocery getter that had radical rainbowstriped paint that seemed to go on forever, and a penchant for lifting its fronts. 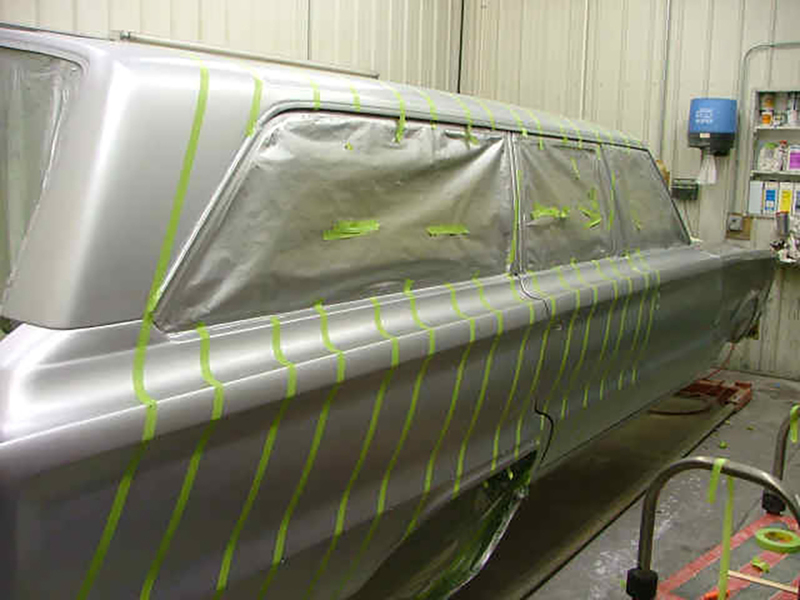 By 1970, Smith had gotten his hands on a brand-new Plymouth Hemi ‘Cuda to go racing with and plans were made to gin-up a paint scheme for it that mimicked the ever-popular Rapid Transit System brochure that featured a ‘Cuda with 25 different vertical paint stripes. 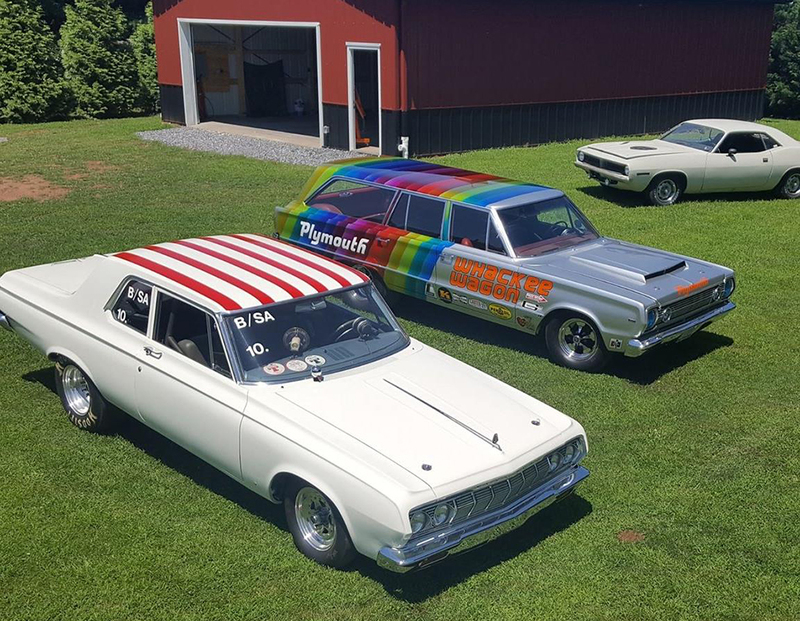 The Pro Stock ‘Cuda was christened “Crazee Cuda” and Smith decided the wagon needed to up its own game and become its color-coordinated stable mate. 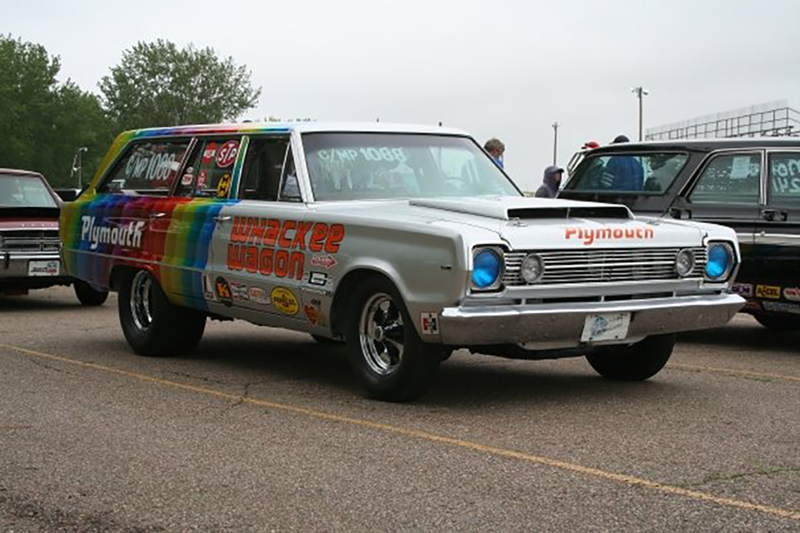 The wagon was stripped of its flat rainbow stripes, repainted to match the ‘Cuda and the “Whackee Wagon” emerged from the paint booth. The Wagon changed hands several times through 1975, but was always kept on the track. 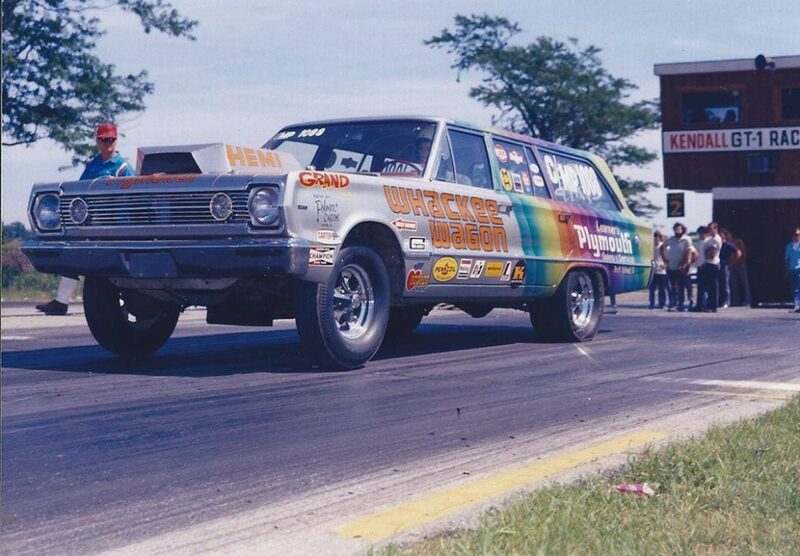 By that year, another well-known drag racer in the region, Fred Engelhart, had picked up the now Modified Production class car, cheap. 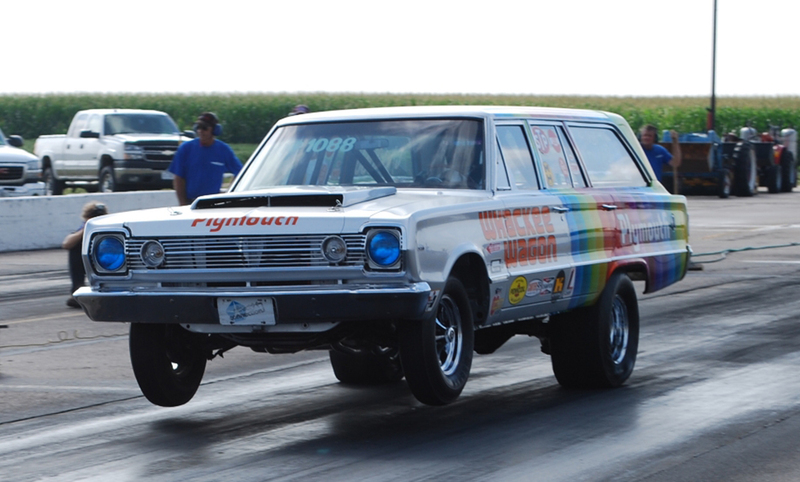 Painted it red, white, and blue, swapped out its Smith-prepped Hemi and four-speed for a fresh Hemi and an automatic, then ran it for several years in that livery. Over the next decade or so, the car changed hands often, but it kept coming back to Fred, over and over again. 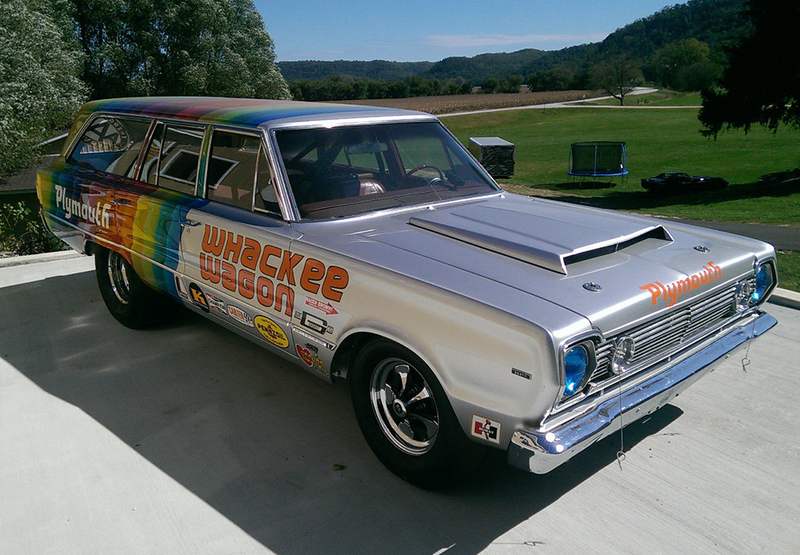 So, Fred finally decided to stop racing it and restore it to its 1970 Whackee Wagon glory. 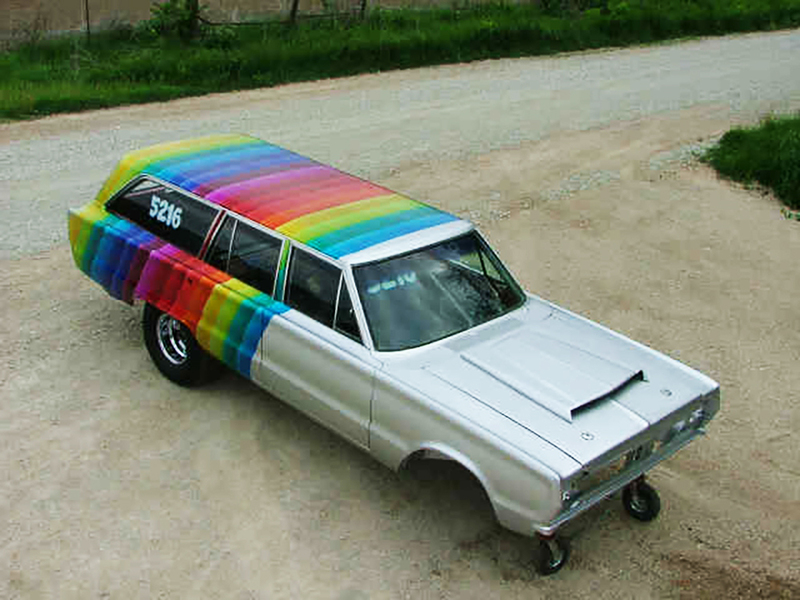 He took the body down to bare metal, recreated the dimensional rainbow stripes, and dressed its sides with the Whackee Wagon lettering once again. If he “keeps it?” Don has come around to the idea that it might be time for the Whackee Wagon’s next steward to take possession. 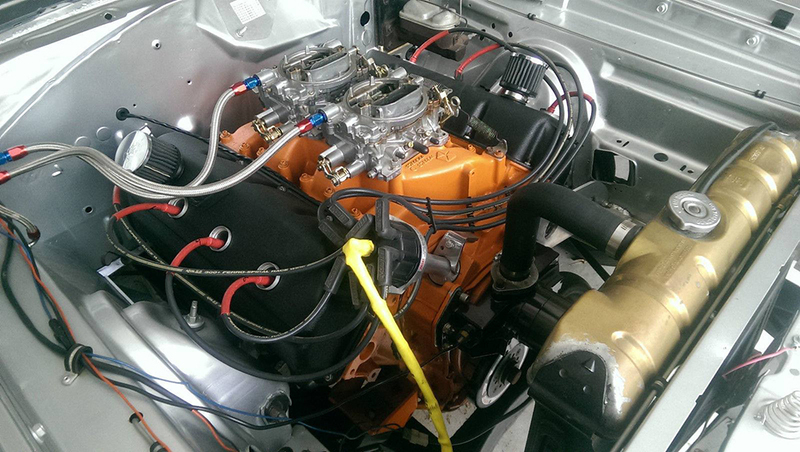 He’s faithfully shown it at Carlisle, area dragstrips, regional Chrysler get-togethers and local shows. But, it’s also a car he won’t race. Too nice of a restoration and he’d hate to do any damage to it. 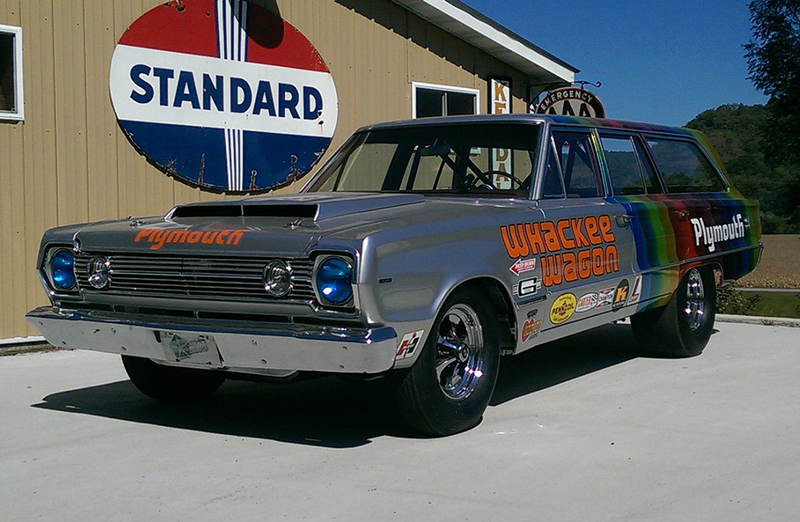 Will you see a listing for the Whackee Wagon in the pages of Hemmings Motor News and here on the site? Time will tell. But so will Don – We made him pinkie-swear to it.